Song PHEV: Next Best-Seller for BYD? The Chinese brand progression in the last couple of years has been impressive, from #11 in 2013, with less than 3.000 units delivered, BYD has becomed the undisputed Best Selling manufacturer in the World! After rising to #7 (And 18k sales) in 2014, thanks to the Qin performance, BYD was simply irresistible this year: Fourth in January, Third in June, Second in July, and finally first in October. The model diversification (Tang, e5, etc) occurred in the second half of the year, not only contributed to win the Best Selling Manufacturer title, but it also tripled sales YoY, will they be able to keep up with this booming trend in 2016? Even if they can't, this extraordinary performance places the chinese carmaker as one of the top players for 2016, along with Nissan, Tesla or Volkswagen. A differentiating feature of BYD is also the global in-house approach to batteries, instead of sub-contracting them to a battery supplier, they are made in-house, not only for their cars, but also for e-buses (6.000 delivered in 2015), forklifts, storage utilities, etc. 2015 was Year Two for the Chinese EV market, with foreign makers still neglecting the Chinese EV market, where the local brands have 95% of this booming market to themselves, this allowed the Chinese EV makers global share to rise from 6% in 2013, to 17% in the following year, to 31% in 2015, with China becoming the largest EV Maker in the world and also the largest market for plug-ins globally. The EV Share in China is now at 0.9%, an impressive improvement over the 0.24% of 2014 and above markets like the USA or Germany, with these indications, 2016 will surely break the 1% barrier, maybe even reaching 1.5%. If BYD and Kandi are frequently mentioned here, others are also contributing for this unstoppable wave, like Zotye (#9 in the manufacturers ranking), BAIC (#12), Chery (#13) or SAIC (#15). An interesting trend is the steady climb of chinese cars in the global ranking, if in 2013 the best positioned chinese model was outside the Top 10 (#11 - Chery QQ3 EV), in the following year there were two (#7 - BYD Qin & #10 - Kandi EV) in the Top 10, and 2015 will probably witness four models in the Best Sellers ranking (#4 - BYD Qin; #6 - Kandi Panda EV; #9 - BAIC E-Series EV; #10 - BYD Tang). Although the Model X is currently filling the headlines for Tesla, the Model S has done 99,99% of the heavy lifting for the Fremont-based automaker, and despite costing twice as much as the rest of the EV competition, it has become the Best Selling EV this year! - To date, it was the only plug-in car that has consistently sold in the same league of their ICE class best sellers, managing even to outsell them in some markets (Norway, Switzerland, Denmark...). The German automaker ended 2014 in a discrete #11 in the EV manufacturers ranking and #6 in Europe, a poor showing for the largest auto manufacturer in Europe and one of the largest in the World. Fast Forward two months to February '15 and things were looking very different, with the heat pumped e-Golf and Golf GTE tandem in full swing, the Wolfsburg-based manufacturer was leader in Europe and #4 worldwide. Throughout the following months, VW kept leading the way in several top Markets (Norway, Netherlands...) and discussing with Mitsubishi the European Leadership, while on a global level, it had dropped one position, staying firm in Fifth. ...And then all hell broke loose with the diesel emissions scandal in the US, in a midst of a media-nightmare, VW heads decided that going electric was a media-friendly way to surpass the crisis, so they announced a number of EV models for the future. Unlike their regular ICE car sales, VW plug-ins weren't affected by the scandal, keeping in line with longer term trends, like the sinking of the VW e-Up! (Down to ten positions to #16 in Europe), the solid performances from the Golf GTE and e-Golf, and the incoming success of the Passat GTE, already the best selling model of its class in November. - German automakers Global Share almost doubled, from 11% in 2014, to 20% in 2015, with Volkswagen (7% Share) surpassing BMW (6%) as the major Teutonic EV maker, with Audi in Third, with 2% share, Mercedes in Fourth (2%), followed by Porsche (1%) and Smart (1%). 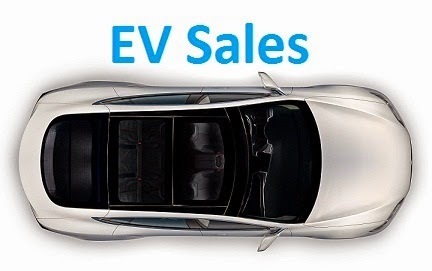 After a slower start, EV sales have increased greatly towards the second half of this year, with the last quarter above the 50k sales/month, with global sales now expected to surpass the 500.000 units barrier, after the 140k of 2012, low-200k in 2013 and 320k in 2014, looking back, the initial forecast of 400k units this year now looks a bit conservative. While Norway continues to be the poster-child for EV Share (23%!) and China the King of Volume (Over 100.000 units more than in 2014! ), others are also making themselves noted, like The Netherlands, growing from one year to the other in an astounding way (15k in '14 vs 35-40k in '15), France (1.37% Share in '15 vs 0,91% in '14), Switzerland (2.00% vs 0.75%), Hong Kong (2.57% vs 0.47%) and the UK (1.03% vs 0.56%), while several countries in the Scandinavian region, probably inspired by the Norwegian case-study, are growing at surprising rates and reaching high market shares, like Sweden (2.23%), Iceland (2.80%) on Denmark (1,64%). Other markets finally had their Year One in 2015, like South Korea (0,14% in 2015 vs 0,08% in '14), the Czech Republic (0,18% vs 0,04%), Slovenia (0,18% vs 0,05%) or Ukraine (0.98% vs virtually zero), while others have rebounded into the righteous path, like Portugal (0,64% in '15 vs 0,25% in '14). Slowing markets were just a few this year, with the largest of them being the USA and Japan, while the Latvian and Estonian markets simply imploded, dropping from a few hundred units a year lo less than fifty. Also of importance is the dissemination of plug-ins by countries not associated with EV's, like South Africa (Currently in Year Zero, with some 250 units), Mexico (Ditto, 350 sales), Colombia (211 Twizzies registered! ), Taiwan (92 EV's registered in 2015), Malaysia (30), Malta (27), Chile (25) or Tahiti (22 Twizzies). Retail sales finally started for the Toyota Mirai, but in limited numbers, with the total volume of sales around 500/600 units globally, divided by the Toyota Mirai and Hyundai ix35/Tucson FCEV, with the first outselling the second in an order of 4 to 1. Despite contrary predictions, pure electrics cars managed to hold on the majority of sales, mostly thanks to Tesla, with Plug-in Hybrids recovering only 2% share, to 40%. - The Midsize class (D-Segment, in Europe) has seen the arrival of the hot Mercedes C350e, but an even hotter model has arrived in the end of 2015, the VW Passat GTE, which promises to be a market leader in Europe, and with the BMW 330e bound to land soon, this class will surely grow fast in 2016. Tesla Model X: The Supermodel fat sister? 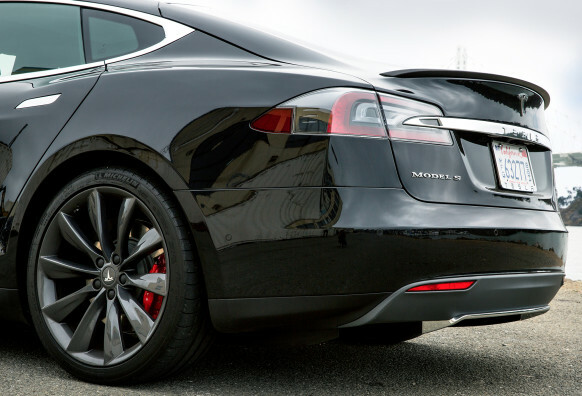 Models - Tesla Model S Goes for #1! Thanks to another outstanding performance of the chinese market, this time with the help from Europe, a new monthly record was set, with almost 60.000 plug-ins sold last month, which not only represents a 12% increase over the last record (51k), set in the previous month, but also a significant 115%(!) increase regarding the same month last year, pulling the YTD sales to 447k units, meaning that we are headed for over 500.000 units at the end of the year. The Tesla Model S was the Star of the Month, delivering 5.377 units, its best mid-quarter result ever, and a 143%(!) improvement Year-on-Year, allowing it not only to be the Best Seller of the Month (For the third time this year), but also managing to remove the Nissan Leaf from the YTD leadership for the first time in three years(! ), knowing that the last month of each quarter has a sales peak of the Model S, i would say the Californian will be the Best Selling EV of 2015, a first for the Fremont brand, after two Third Places (2008 - Roadster & 2014 - Model S) and two Runner-Up positions (2009 & 2010 - Roadster). Looking elsewhere (China), the Kandi Panda EV continues to impress, selling 4.153 units and reaching #2 in November, leading the wave of four(!) chinese models that made it to the Top 10: The BYD Tang Sports SUV was #4, with 4.049 units, the Zotye Cloud EV, #6 with 3.730 sales and finally, the BAIC E-Series EV was #9, with 2.104 units. On the losers side...Taking the risk of copying myself frequently, the Nissan Leaf desperately needs to start selling the 30kWh worldwide, the 2.171 registrations (Worst performance since early 2012) made it lose another 1% share, mounting to 10% the amount of share lost by the japanese regarding last year...Worst of all, the 25% sales decline made it loose the YTD leadership and most likely won't be able to renew its Best Selling EV trophy won in the last two years. Besides the aforementioned leadership change, the only notable position change in the YTD ranking was the Kandi Panda EV shooting to #6, while the #12 Zotye Cloud EV and #13 BYD Tang will try to reach #10 in the last month of the year. This was the fifth sixth seventh consecutive month that BYD won the Best Selling Manufacturer title, and everytime with a record month (Now at 7.728 units), the chinese carmaker has rapidly left behind Nissan, now 5.000 units away. In the race for #3, another position change, Tesla is now ahead, now that the Model X is finally helping out with the sales burden, it looks that the all-electric brand is poised to secure the Bronze Medal in December, but still, a lot can still happen until the end of the year...Like Tesla surpassing sales expectations and catch Nissan in Second. In the low end of the manufacturers ranking, things remain pretty leveled, Kandi is now pressuring the #7 Renault, while Zotye reached #9, surpassing Ford, that stumbled big time this year, dropping from #5 last year, to an endangered #10 (The Volt II-fied Chevrolet is #11, some 1.000 units behind). It wasn't only the weather that stayed warmer than usual in Europe, hot plug-in sales reached a new all-time high in November, with a record 19.577 units were sold, up 14% regarding the previous month and an impressive 115% YoY, with nearly 160.000 registered until now, total YTD sales are headed for 150k 170k 180-190k units this year, a significant departure over the 100k registered in 2014. Looking at the monthly models ranking, the Mitsu Outlander PHEV is fully profiting from the restyled version, selling 2.876 units, its best result since March, comfortably ahead of the Number Two, the Renault Zoe, with 2.041 units, followed by the Tesla Model S, Third with 1.425 sales. Outside the podium seats, we have the VW Golf GTE (1.416 units) in Fourth, followed by the Star of the Month, the BMW i3, that has registered 1.287 units, beating its previous record by over 100 units (1.125 units last August). Some models outside the Top 5 deserve a mention, the recent VW Passat GTE ended the month just outside the Top 5, at #6 with 1.247 units, while the Mercedes C350e had a spike in sales, rising to #8 with 939 units, whereas the long-running champion of the D-Segment/midsize class, the Volvo V60 Plug-In, also had a remarkable result, registering 722 units, its best result in two years! Another hot segment is the Luxury SUV, where the Volvo XC90 T8 Plug-in Hybrid (731 sales) left the once undisputed leader, Porsche Cayenne Plug-in (309 units) miles behind, while the other rising star, the BMW X5 40e PHEV (461 sales), also has beaten the Cayenne by a wide margin. Looking at the YTD ranking, the major change is the Renault Zoe ascending to the Second Place, switching positions with the Nissan Leaf, that dropped to #3, its worst position since February. 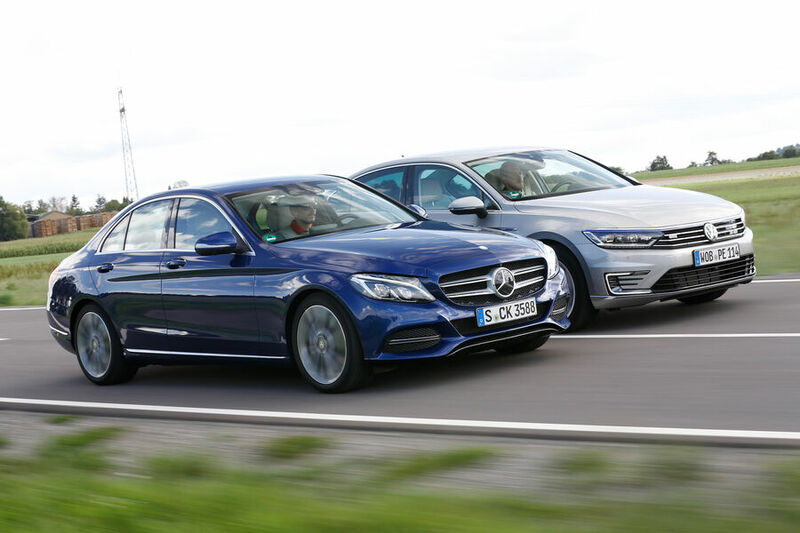 But it's below the Top 10 that things really become interesting: The Mercedes C350e climbs one position to #12, while the rising star Volkswagen Passat GTE jumped an additional four positions, this time to #17, will this be the 2016 D-Segment/midsize class Best Seller? The Volvo XC90 T8 Plug-In joined the ranking at an impressive #23, already beating the direct competitor, the BMW X5 40e Plug-In, itself up four positions to #25. In the brands ranking, Volkswagen is stable in the lead of Europe's EV Manufacturers Throne (19%, up 1%), followed by Mitsubishi (16%) in Second and Renault in Third, with 13%, while Nissan is #4, with 11%, down 1% share. Some 300 EV's were sold in Belgium last month, doubling sales regarding the same month last year, placing the EV Share at 0,75% and with YTD sales at 3.551 units, will we see sales reach 4.000 this year? 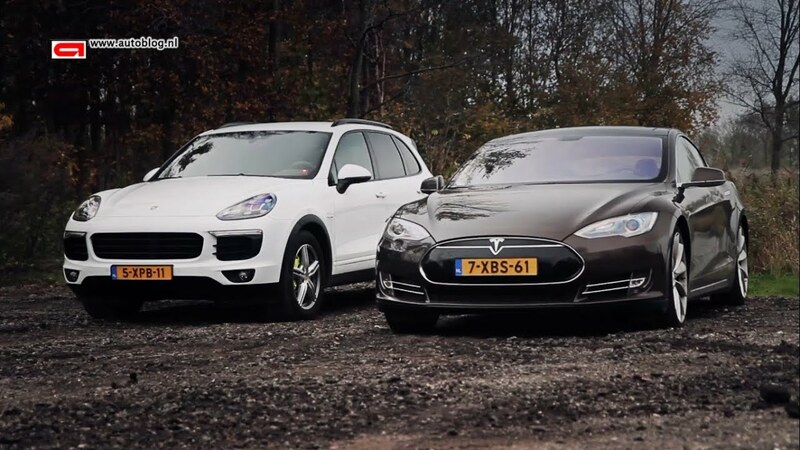 The two at the top continue their close run, the Tesla Model S (49 units) losing yet a bit more ground to the Porsche Cayenne Plug-In (64 sales), with the difference between the two now just 33 16 one unit! Will Porsche's SUV defeat Tesla in the last round? Good result of the Mercedes C350e, with 20 units, allowing it to jump three positios to #14, while Volvo's Belgian importer managed to divert 11 XC90 T8 from the Netherlands sales fever and make that model land in a rather significant way. In the manufacturers ranking, everything remains the same, with Porsche leading (24%), followed closely by Tesla (21%, down 1%) and BMW in Third, with 15%. Great landing for the motorway bruiser, middle-managers can now go green too! The French EV market continues on a high note, with 2.688 units sold, doubling sales regarding the same month last year, pulling the YTD EV Share to yet another record, now at 1.37%, or 0.05% more than a month ago. Looking at the monthly models ranking, it's business as usual in the leadership, with the Renault Zoe on top, although was down 19% regarding the previous month, the Kangoo ZE relative in Second, with 346 units (Second best performance of the year), with the Nissan Leaf recovering the Third Spot, with 173 sales. A mention to the VW Passat GTE, debuting with a bang, with 107 units registered right away (New landing month record), allowing it to reach #8 in November. For the record, its smaller relative, the Golf GTE, landed with 69 units, will this mean that the midsizer VW will outsell its hatch relative next year? Further more, will it reach #3? #2, even? Looking at the YTD ranking, the main change was the Renault Kangoo ZE returning to Second Place, switching positions with the Nissan Leaf and placing the podium exactly as last year (And in 2013...). But there were other changes, the Mitsu Outlander PHEV climbed to #7 (125 units, pb of the year), the Peugeot iOn rose one position to #9, as did the Renault Twizy and Kia Soul EV, now #11 and #13, respectively, with the Korean celebrating another personal best, with 65 sales in November, while the Citröen C-Zero was up one position, to #16. - Mitsubishi I-Miev, #30, 38 units (0 units in 2014), with an all time record of 42 sales set in 2011. In the Luxury SUV niche, the BMW X5 plug-in seems to be en vogue, beating the Cayenne Plug-In by 52 vs 44, while also jumping four positions to #20 in the YTD ranking. In the manufacturers ranking, everything stayed the same, with Renault stable in the lead (50% Share), followed by Nissan (10%) and Volkswagen (9%).